In May 1994, while leading a “Quest” with two friends, a gentleman from New Zealand named Steve, and a woman from the “Land Down Under,” Kathryn, I made a personal discovery that has made my life both exciting and miserable. 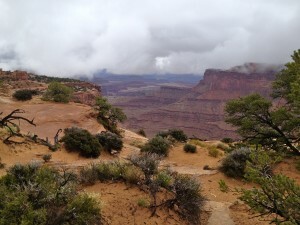 I discovered, by accident (if there is such a thing)… the Canyonlands. 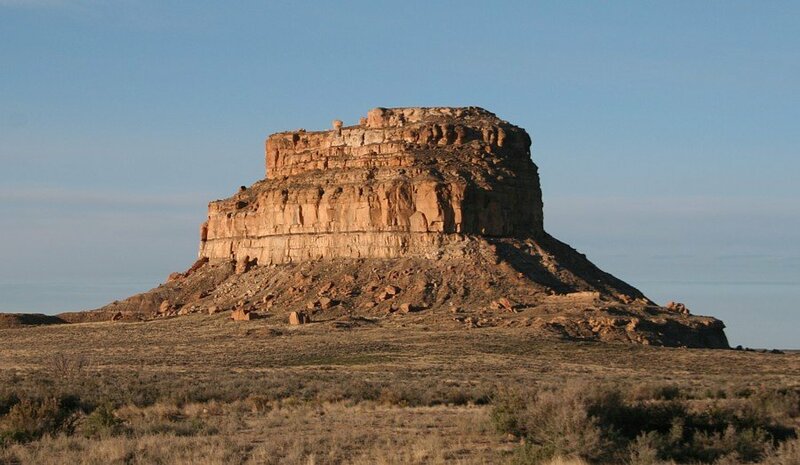 I often visited the Four Corners area as a youngster, my Grandfather would take me to Chaco Canyon, a place of power, a place where it was said the “Star People” visited and gave human beings knowledge. I remember sitting on the hillsides watching the night sky, and as often as not, the stars would come out and dance. Darting across the sky, stopping in the blink of an eye and returning at dazzling speed to the place from which they had come. Their incredible speed and bright spinning movements captured my imagination. When I asked what the “dancing lights” were, Grandfather told me that they were “Spirit Dancers,” special beings born in the heavens. They danced with tremendous speed, first up then down, and all the while spinning furiously. I remember that vividly. When I first became aware of Pow-wows, I was mesmerized by a “Fancy” dancer who wore “disks” on his back. He had to be one of the “Spirit Dancers” that my Grandfather had spoken about. I decided right then and there, that if I could, I would become a “Fancy Dancer” one of those “Spirit Dancers”! I am proud to say I achieved that goal. And so, when I returned to Chaco Canyon with my friends, it was with fond memories of my own beginnings, my own Quest to find self. 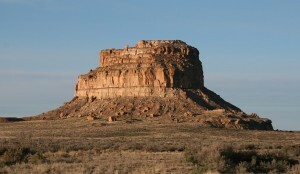 But to my surprise, Chaco Canyon, where I had once roamed freely and slept in dry washes.. .was now closed! Visitors could only walk on designated pathways, only marked trail travel was permitted! In effect, the place we went to to watch and learn from “Star Beings” was off limits. Could someone have found out what Native People knew all along, and decided to keep it for themselves? It was with saddened heart and a measure of anger that I decided to move on. 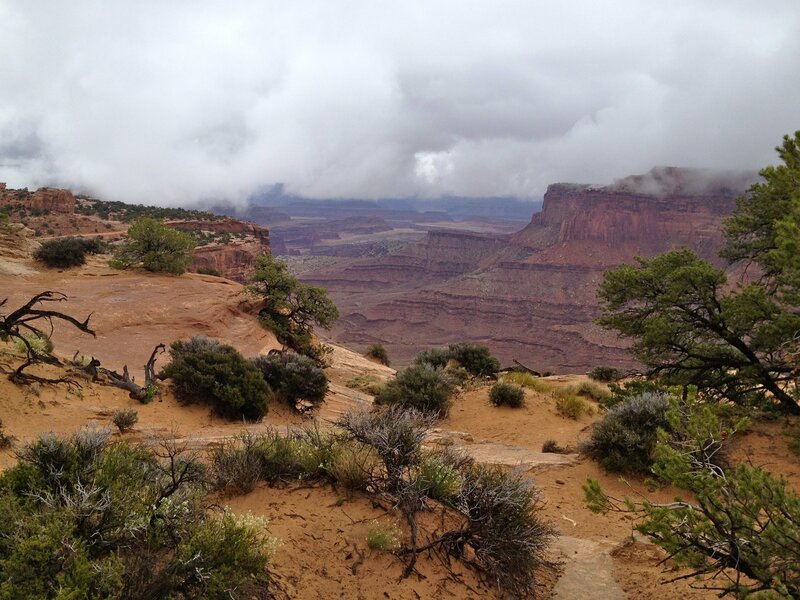 While looking at a map of the area, our eyes happened to catch a glimpse of the Canyonlands National Park. Steve wondered if we might have some success there, a Quest site was still our intent. 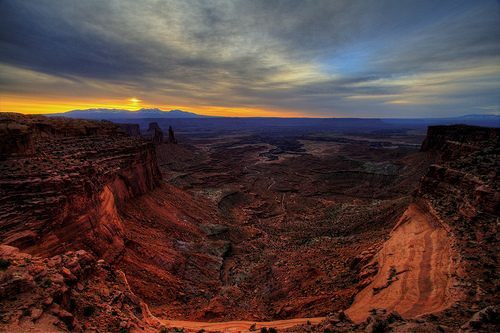 I had heard of the Canyonlands, the Utes I knew referred to the area as “Crazylands,” a place where you did not want to go. It made you go crazy, IF you came out at all. And so with some trepidation, I accepted the suggestion, with their encouragement, and we headed into the Canyonlands near Moab, Utah. My God! If only I had known of this place before! It is one of the largest national parks in the U.S. yet it is one of the most unpublicized. Its wonders are the kind that take your breath away, its beauty is unimaginable! Yet the National Park Service does not promote the Park with any great vigor. Why? I was soon to find out. Ladies and Gentlemen, I am going to suggest to you, with confidence and later substantiation, that the Canyon-lands of Utah was once the site of an “extraterrestrial” colony! While exploring the Canyonlands, Steve and Kathryn could not stop commenting on the wonders of the Park, its definite surreal and alien-like formations. It was like being on the moon or some far-distant planet. The feelings of dizziness, the overwhelming emotional feelings that overcame us we took to be part of the awe and giddiness one feels on discovering a hidden treasure, the “find” of a lifetime. Our search for a “Quest” site was complete. Over the next few days, we all achieved what we had come for, our future paths were begun. What I could not know is how often I would walk on these very trails again, for less than one month later, I would be back in the Canyonlands, but with far different results. On this trip, I was alone. I had become intrigued on the first trip with the possibility that many of the formations were a deliberately created phenomena and not the result of natural erosion. 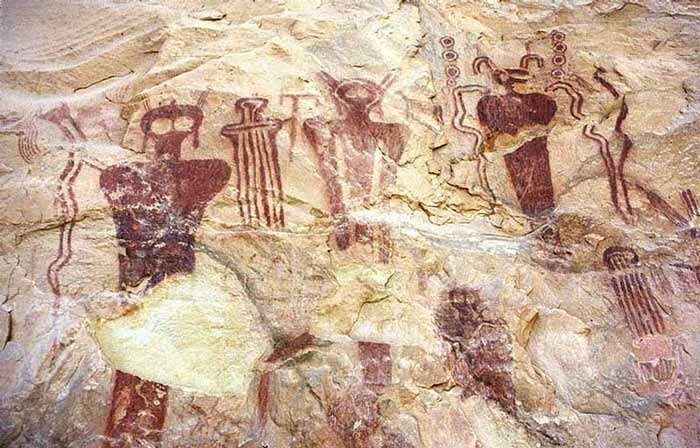 Could they be three dimensional representations of ancient extra-terrestrial glyphs? Could these “Star Beings” have created them for us, so that we would remember? After two more visits, I was convinced. 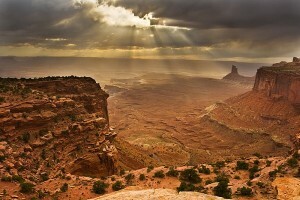 There had been, and probably still was, extra-terrestrial visitations to the Canyonlands. But I wanted substantiation, I wanted someone else to see what I had seen, to have the same opinion. And so I took a trek back into the Park with witnesses, a camera crew and the host of a UFO program on public access cable TV Advising the Park Rangers fully of our intent two months before our visit, we discovered on arrival that our permits to camp in the Canyonlands had not been issued, nor would we be allowed to charge batteries for our video cameras as we had agreed upon earlier. 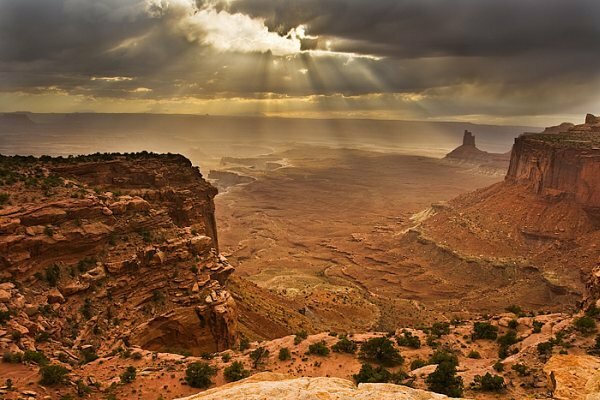 The host of the TV program was also told, with witnesses around him, that though no parts of the Park were closed to us, there were parts of the Canyonlands that the Park Service did not want us to visit, ostensibly so as to preserve the sites. (as the local police termed it) dumped snow on the road into the Canyonlands. We were forced to cram our eight bodies into a motel room which is best now described as a room in the Twilight Zone. One of the women woke up with a bruise-like bump on her cheek. I was startled awake in the night by the feeling I had been slashed by a cat or some creature. Blood was on my lip and an obvious sliced area appeared on my lips in the morning. But most strange of all, our camera-man was visited with visions throughout the night. He had seen long ‘sparklers* weaving in and out of our host’s sleeping bag as he and his girl slept. (It has since given birth to the name “Sparky” for our host.) The camera man also saw soldiers in the mirror of our room and spent the night in and out of the room smoking cigarette after cigarette, sleep was not one of his options for the night. We laughed, strange things were afoot we kidded, strange things indeed. We arose the next morning and departed for Elephant Hill trailhead, departure point for the hike to Druid Arch. What a surprise to find a Ranger waiting for us. He asked for me by name and asked about our purpose in visiting the site. A rather lengthy and heated discussion between the camera crew and our friend seemed to allay his concerns and we began our hike. Determined not to give the Rangers any reason to walk me out of the Park again, I followed the trail signs. Three times we encountered a sign which read “Druid Arch 3.7 mi.” We joked again at how the Rangers must be running just ahead of us, placing the same sign over and over again in our path to our goal. After nine miles, the trail ended in a canyon, with no way out. Disappointed and tired, we returned to our cars… another Ranger was waiting. Once again, we were made to repeat our story and re-assure him that we were following all regulations and were not in violation of any rules. The eerie thing about this Ranger was that he knew exactly where we were camping! He identified it by name, something we did not even know! We talked a little that night, it was not as funny as it had been. The rest of the night we were pelted, drenched, in one of the heaviest rainstorms we had ever seen in our lives. Something did not want us there. The next day, we visited the “Islands,” another part of the Park. It was emotional, it was eye-opening, but it did not bring any further trouble to our visit. We enjoyed the day and returned to camp, somewhat refreshed, but still very disappointed at not reaching Druid Arch, our intended goal. We awoke the last day, resolved to reach the Arch. Five of us departed to the Trailhead again… and to our surprise, no Ranger was waiting. This time I did not follow the signs. We hiked directly to the Arch and shot our video. On the way back, one of the camera crew aggravated an injury and had to be assisted down the trail. As we finally descended the last rock-face which leads into the parking lot, we were greeted again by one of the Park-land’s finest. He singled me out and his first words were “I’m not going to arrest you… but…” Once again, our story had to be repeated, once again we had to assure a Park representative that we were “legit.” That done once again, we returned to camp and prepared to leave in the morning. The trip had been memorable to say the least. I was not disappointed, I had witnesses to my findings… and to my not uncommon visitations by Rangers. In the “Needles” region of the Park, canyon after canyon tells the story of an ancient extra-terrestrial presence and to its tragic end. In one canyon, granite stone still bares cuts made with such precision and straightness that a stonecutter today would be hard pressed to duplicate. In another canyon, an enormous rectangular block weighing over 500 Ibs. moved from its original bed… upstream! A huge several ton block, engraved with an upside down triangle, evokes a sense of dread or disturbing, draining feelings. In other canyons, scorch marks tell the story of heat or laser beam battles. A constructed wall towers over 200 feet into the air and clearly shows evidence of two massive laser strikes, the lack of stone rubble evidence shows that this was not from natural erosion. Spires reach into the sky everywhere, some obviously “carved” into three dimensional glyphs. And finally there is the Druid Arch, a replica of Stonehenge over 500 feet high. Is it coincidence that hikers, on the canyon floor below, cannot see the massive arch, that it is only visible from one particular ledge on the canyon wall opposite it? Is it possible that something was going on in this area, thousands of years ago? That “Star Beings” actually resided in and re-built the Canyon walls to suit their needs, and/or their artistic desires? 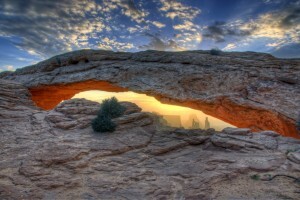 Are the Canyonlands an Art Gallery, a testimonial to extra-terrestrial beauty? Or could it be a gallery of three dimensional glyphs designed to re-awaken an ancient memory buried deep within each one of us? I shall sum up this letter with a partial listing of the strangest occurrences during visits of the Summer of ’95. Canyonlands Trip-15 June Thursday to 18 June Sunday Several witnesses watched stones move up and down in the center of a dry river bed. Several witnesses watched a blue light move ahead of the group through the hillsides. A huge boulder weighing thousands of pounds, a landmark of the hike to Druid Arch, is “missing.” No one sees it on the trail up.. .it is there on the way down! Stone spires tower to the left as hikers go by. Moments later, the hikers look back, the spires lean another way. Hikers “disappear.” In a restaurant, two of them do not see the main body leave, the main body cannot find them. At an entrance station, two different hikers are “lost.” Only seconds behind the main body, they cannot see the group, the main group cannot find them. An unusual storm hits in the night. Thunder that sounds like an unending jet engine whine; lightning without thunder or sound; hikers in tents feel themselves being lifted up as though levitated; winds pummel the tents, damaging one; some hikers seek refuge in their truck, the tail lights suddenly, without reason, come on and cannot be turned off; the storms fury beats down all night yet some hikers are in a very deep slumber and remember nothing; strange lights glow in the far distance. The next morning on a table in the very center of camp, a potato chip bag, a nearly empty water bottle, and a bag of cookies remained unmoved. (From every indication, the camp was the subject of a low altitude UFO fly-by, directly overhead! An “incident” takes place. Rangers are spotted where no Rangers are assigned (Official Parklands position). Unusual emotions are evoked in two hikers, they display distress and disturbing anger. 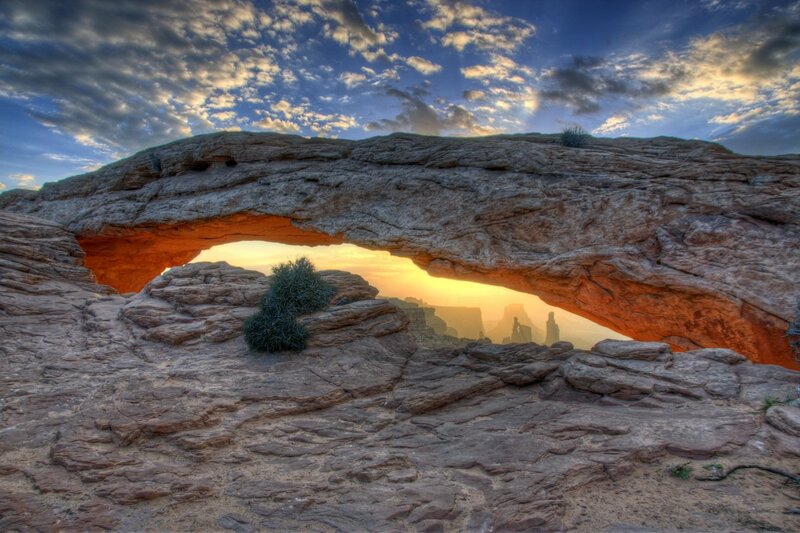 Each crew member finds that it takes over 9 hours to get from Phoenix to the Canyonlands. Normally it takes only six hours, each member finds the trip draining. A pulsing light on a near-by mesa keeps the participants up late on the very first night. Suddenly, a beam of light, as sharp as a knife, reaches up into the sky. It remains in full view of all hikers for several minutes before fading. Three crew members leave camp in a car headed toward the light, the light fades away. Rain falls over all the entire area, no clouds are in the sky. On the hike to Druid Arch, several hikers see the walls of the wash pulsing before them, moving in and out. Crew member #1 has his camera malfunction. Crew member #2 has her camera malfunction that night. Crew member #3 is asked to take pictures, his camera malfunctions. A hiker is asked to take pictures, his camera malfunctions. A disk streaks across the sky. It moves erratically but takes only seconds to go from the western horizon into a low cloud over the mesa with the glowing, pulsing light. One hiker’s car has all electrical systems die. Moments later, it returns to life. Hours later while travelling, it resets its own clock. Still later, its electrical systems, once again shut down only to restart. The driver of the car tries a restaurant machine that supposedly measures “passion levels.” She places her hand on the device, it soars to its highest level then promptly shuts down. A late night storm treats hikers to an “unusual” display of lights in the distance. No thunder is heard. The last morning of this trip, several hikers picked up a newspaper from the previous week out of curiosity. This issue revealed the story of a pilot caught in an “unusual” electrical storm the week before. Lights on the runway at the Park airport malfunctioned and did not come on. Pilot and wreckage were found one and a half miles north and east of the airport. It has become my blessing… and my curse. I plan more trips to the Canyon-lands. If you go, be careful!